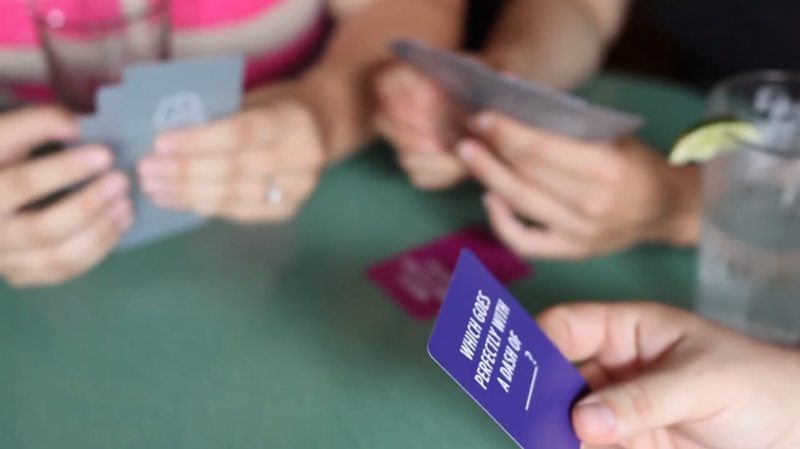 A card game where players discuss serious and ridiculous opinions about art, media, entertainment, and design. 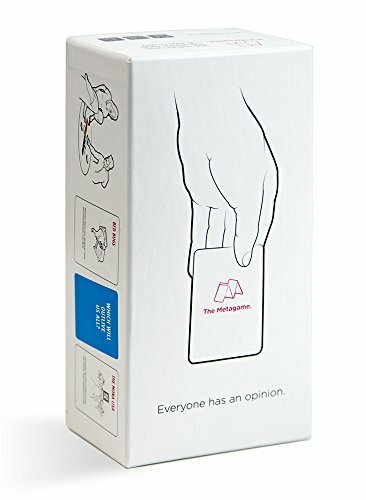 Like a deck of regular playing cards, The Metagame is not just a single game - the box comes with rules for seven different games, and more are available online. 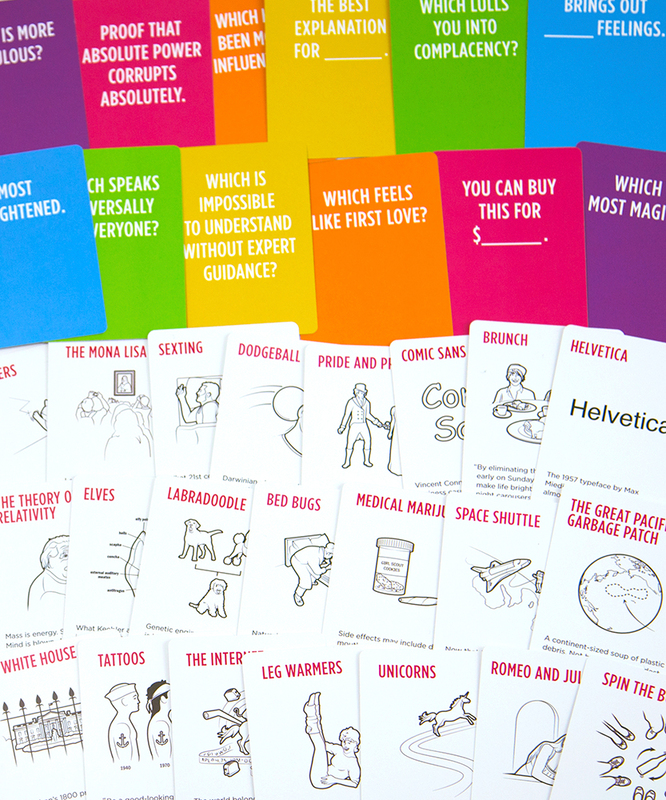 Thanks to our publishing partners Buffalo Games and AdMagic.